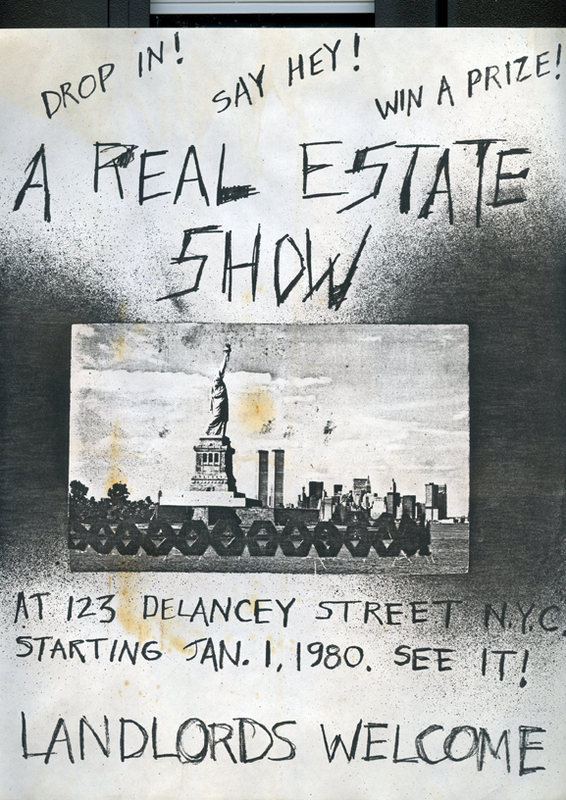 On the occasion of the exhibition “The Real Estate Show” at James Fuentes Gallery and other related exhibitions, this conversation features a discussion between artists Jane Dickson, Coleen Fitzgibbon, and Becky Howland about their involvement in the landmark art collective, Collaborative Projects, Inc., (familiarly known as Colab), and the 1980 Real Estate Show, which led to the creation of ABC No Rio cultural center. 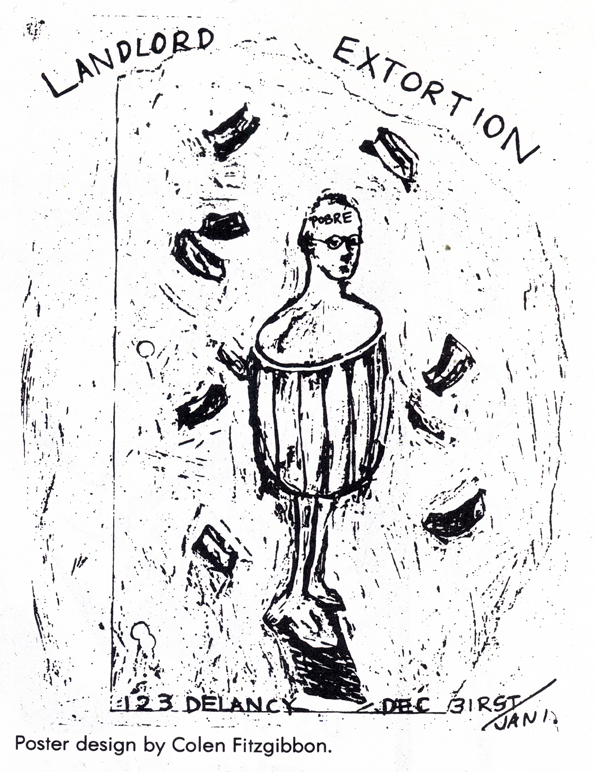 Fitzgibbon was one of the founding members of Colab in the late '70's. 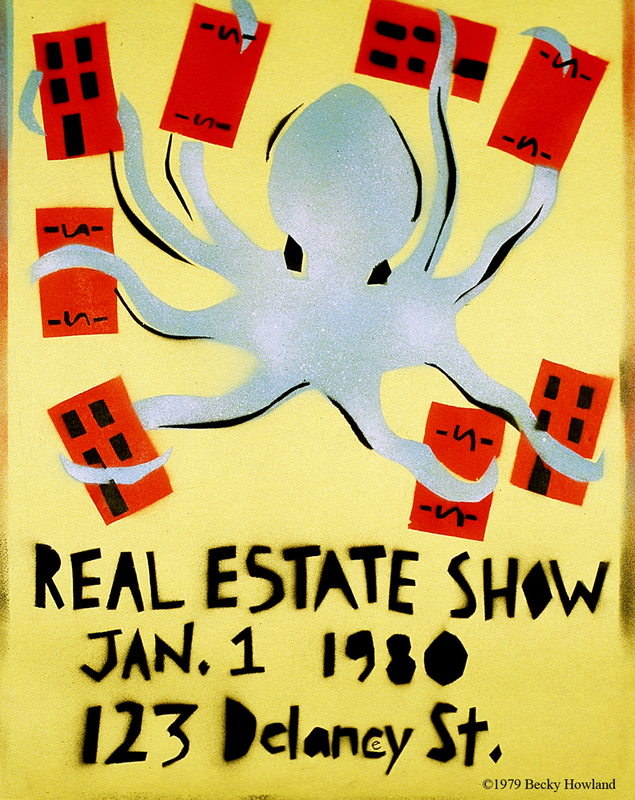 Howland was one of the principal organizers of the Real Estate Show, and a co-founder of ABC No Rio. 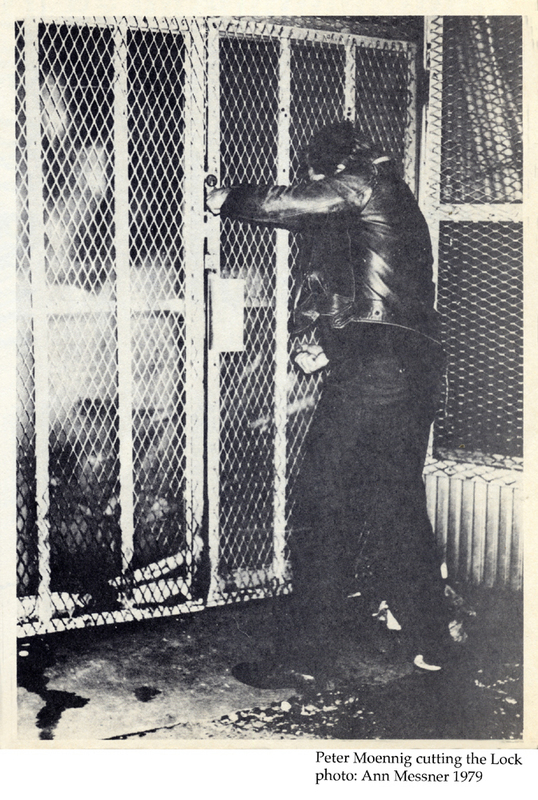 Both Dickson and Howland were Colab members and officers in the 80s. 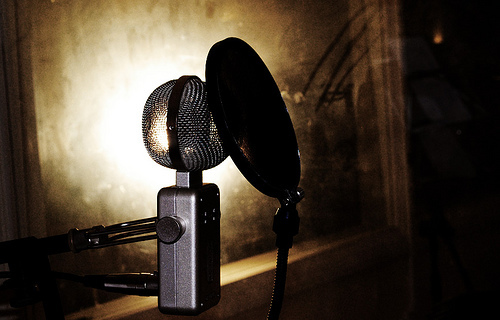 Colab is recognized as a “pioneer DIY arts collaboration,” lauded for its open policies and horizontal structure. 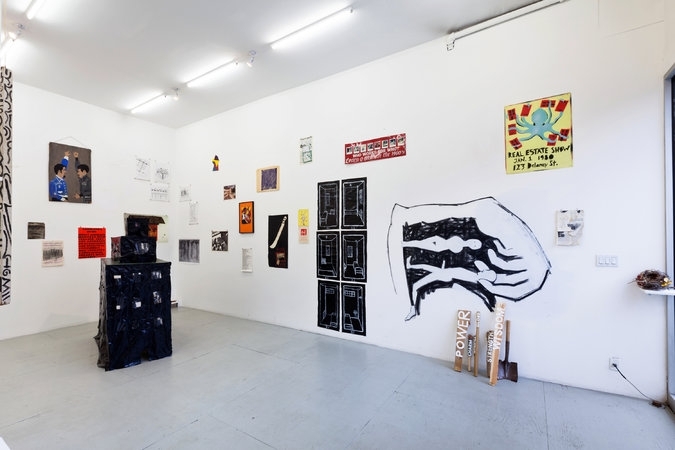 The group produced a series of shows at artists’ lofts, live Cable TV broadcasts, annual stores of artists' multiples, and the watershed “Times Square Show”, as well as initiatives like Betsy Sussler’s BOMB Magazine and Jane Dickson’s Times Square Spectacolor Board project. 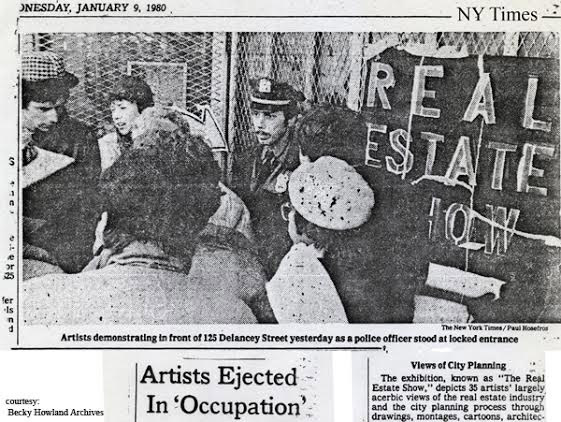 The women discuss the drastically different climate of New York during the 1970s and 1980s, wherein artists could thrive and collaborate with “energy” and “serendipity” in a bankrupt city filled with derelict and abandoned buildings. 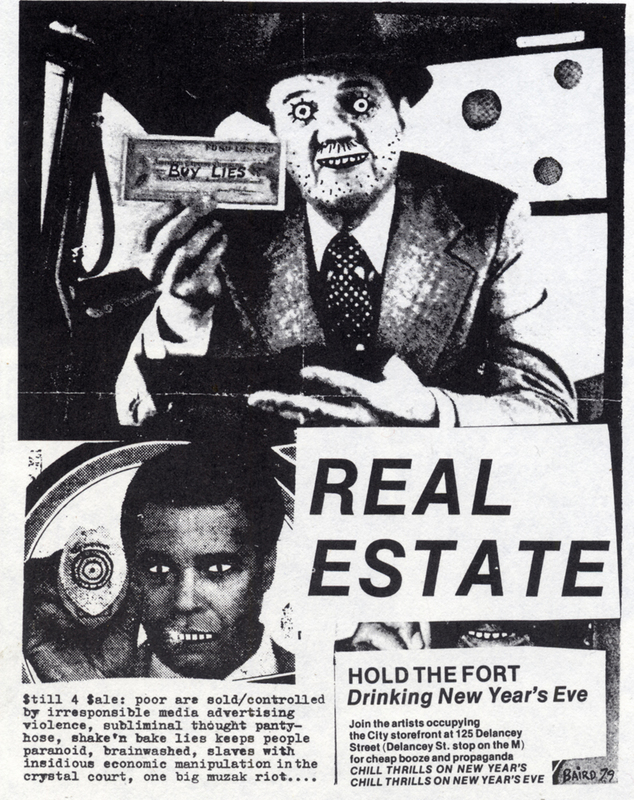 The original “Real Estate Show” was held without permission in an abandoned building, and was quickly shut down by the authorities. 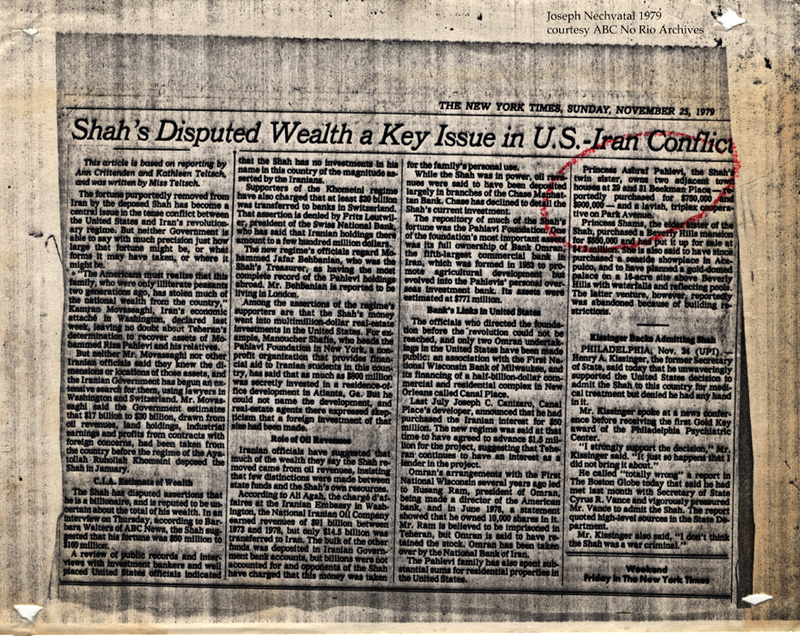 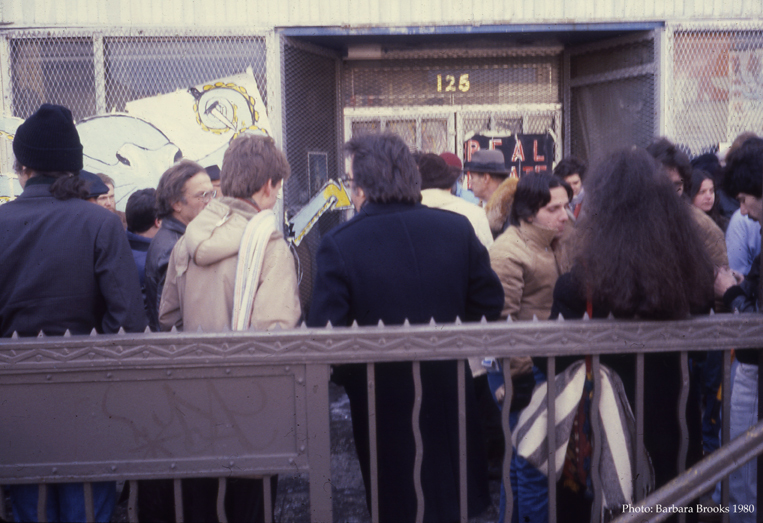 The artists negotiated with city officials, obtained a storefront on Rivington Street, and in May 1980 opened the first exhibition at ABC No Rio. 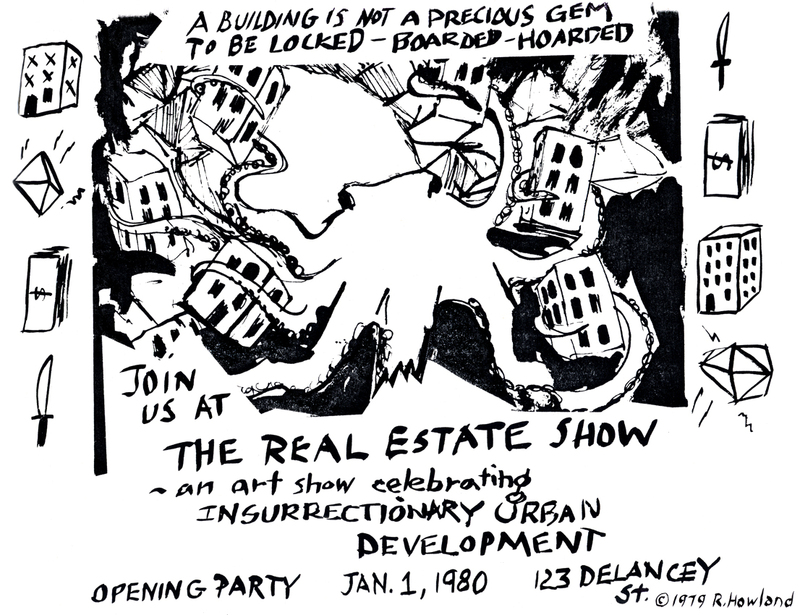 The four 2014 exhibitions deal with past and future real estate issues in New York City: The Real Estate Show at James Fuentes Gallery had works and documentation from the original exhibition; The Real Estate Show: What Next at Cuchifritos Gallerywas a venue for events and activities related to the current real estate situation on the Lower East Side; RESx at ABC No Rio was a show -- in the spirit of the original Real Estate Show -- open to all on the theme of real estate; No City is an Island at The Lodge Gallery featured works by artists from Colab.